Two men meet in the basement of the Royal Oak to discuss something very sensitive. Something mysterious. Something… that may not be happening? Division 161 sees a secret agent (Cullen Petersen, whom I will refer to as P) meet up with a former fellow spy (Cullen McGrail, henceforth M) to discuss a failed operation that is only now becoming the subject of public inquiry. P is our main character: we are given occasional glimpses into his mind as he tries to decide whether or not M has come to kill him. A lot of this show’s power comes from its use of suspense: information is revealed slowly through naturalistic conversation (in the same style if not the same level of sophistication as Pinter) to paint a picture far from complete but complete enough to gain a basic understanding of what’s going on. M and P are among the few remaining members of the mysterious eponymous Division, and their last mission went so badly that another member of their team died. Part of their training involves development of critical thinking that enables them to accomplish seemingly supernatural tasks: P can comprehend cause-and-effect so well that he can make very accurate predictions about the short-term future, and M has the ability to determine people’s thoughts (I assume cold reading has something to do with it, but it’s not explained in much detail). As M gets angrier towards P for his role in the mission’s failure, we careen closer and closer to the expected violence before we suddenly have to question what we have just seen. It’s clear that the concept behind this show has been well-thought out by the co-creators. We definitely don’t know everything by the end, but we know enough to get the main drift. The suspense is well-used, with snippets of information concerning all aspects of the cryptic backstory being offered while the audience tries to piece them together; because we are trying to find out what happened then as well as what’s happening now there’s uncertainty in what the final action will be, and when it does happen it still comes unexpectedly. The rougher aspects of the production can be attributed mostly to the venue of the Royal Oak’s basement room: audience seating is a bit haphazard, servers occasionally come through, and ambient noise from the rest of the bar can come down the stairs. Cullens McGrail and Petersen act off a lot of these distractions well, although a little more vocal projection would help too. Division 161 is a tight little piece of site-specific theatre that works well with the constraints of its venue. 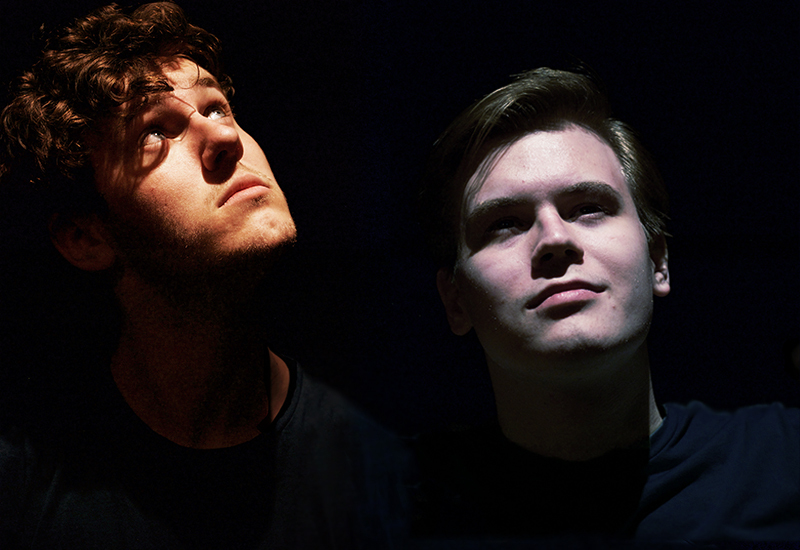 As the product of four University of Ottawa students who have all been active in the Ottawa theatre scene, Division 161 shows that whatever PUSH Theatre comes up with next is something to consider seeing.